This level has easy difficulty. 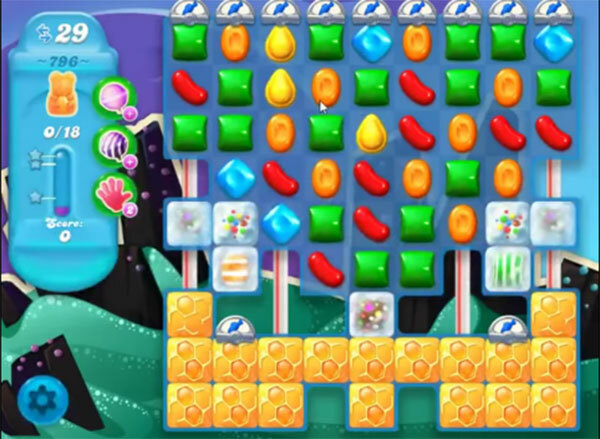 For this level try to play more from the top part of the table where more candies are available to play and make special candy as you get the chance. Try to use striped candy with other special candy to break more honey blockers to save the bears. It’s not easy! Labeled as hard & is more like impossible! Getting fed up with it. same! i have been on this level for days! contemplating deleting the app- its impossible! This level is bs combined 2 color bombs twice and still had a third of honey left with 2 moves left . I wish I had a board set up like the one on the video. Cannot break threw to get the bears.